There is a certain tension here between childhood nostalgia and discerning film critic. 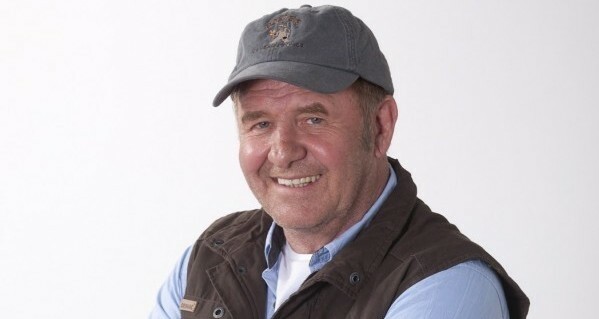 I grew up on the films of Leon Schuster. I can’t even recall how many times I watched You Must Be Joking, Panic Mechanic and There’s a Zulu On My Stoep. Over the years though my tastes have changed somewhat, particularly when it comes to comedy. Yet there is no denying the sway that Schuster still holds over the South African box office. His films continue to draw massive crowds and Mr. Bones, and its sequel, remain two of South Africa’s highest grossing films. His work may never be deemed high art or receive top acclaim from critics, but there is no denying the indelible mark he has left on South Africa’s film industry. It was inevitable, therefore, that someone else would soon notice the powerhouse that Schuster and his films are – and that someone was none other than The Walt Disney Company who approached him to distribute and market his latest film Mad Buddies. I initially asked him how he managed to accomplish such a behemoth task and he swiftly corrects me: “Disney approached us when they saw that my films performed well”. He pauses, realising this is a gross understatement. “Very well, in fact”. The negotiations began between Disney and the producers and they put the deal together: “Disney co-financed it and were wonderful marketers” and the rest (if you will pardon the archaic cliché) is history. Schuster is now touring the country, doing in-store promotions for the DVD release of the film with his co-stars Alfred Ntombela and Kenneth Nkosi which, he says, “are going so well”. He describes the tour with a catchphrase synonymous with his personality and that I recall adopting for constant use myself as a child, “dis lekker soos ‘n cracker”. Considering the wider distribution the film received, as well as its central theme of the two protagonists (one black and one white) getting along, the international audience will hopefully get the message that the past is over and people of different races actually do get along. Schuster says he never overtly tries to insert a message into his films, but “if it turns out that the movie has a message then I’m happy with that too…I‘m glad there is a reconciliation in the film and if I’ve done something which unifies South Africa then I’m glad; [but] I don’t make comedy because I am trying to give a message, I want people to laugh”. I find it ironic though that he does not overtly relay a social message in his films, because I often find that comedy delivers commentary far more powerfully than drama because it forces us to look at situations in a completely different way, which is exactly what Schuster does. Taking his inspiration from observations of what goes on around us in the country – “you drive past a billboard on the road and you can get an idea from that” – he also explains how he takes more serious matters and presents them in a lighter manner, such as scenes where a hijacker shoots himself in the foot and “gets his own back”. Through something like this we achieve catharsis for something we normally have no control over. His new film Mad Buddies is, on one level, also a film about reality TV. Because of the candid camera aspect of many of his films, a lot of his work has that element of catching real people in real time. Bearing this in mind, I ask him what his own take on reality TV is: “I love it. I love the funny ones, the dumb ones, the clever ones. I don’t really like the cop ones…except when they catch the bad guy; but I like the ones with fun built into them”. He astutely points out that reality TV “has taken over the market completely and that soap operas are on their way out. One day people are not going to be watching soap operas anymore, because they have reality TV like The Kardashians”. Considering the inclination of both towards melodrama this is certainly noteworthy and the inclusion of the reality TV aspect in the film broadens his own use of candid camera and gives the film the current focus that is always present in his work. I ask him what the most important thing is that he tries to convey to South Africans through his films. “The biggest reward is to see people laugh and it’s all types. I am thankful to God that my movies broke out so much bigger than I thought they would and I love knowing that people are sitting together in a cinema laughing at the same thing…it is bringing the rainbow nation together and unifying people the way that 2010 united people” – and this same feeling is echoed in Mad Buddies as the characters in the film, of all ages and races, gather together and watch the show. As for inspiration further afield, he cites big American film comedians such as Adam Sandler, Ben Stiller, Jim Carrey (ok, he’s actually Canadian), Will Ferrell and Zach Galifianakis. It is heartening to discover that he enjoys other slapstick comedy too and charming to realise how much he really enjoys film and the medium with which he surrounds himself. He does concede to enjoying dramas as well and loves Meryl Streep calling her “one of the most gifted actors” and professing to love “that one where she plays Margaret Thatcher…The Iron Lady”. Admittedly, his films may not be on the top of my “to watch” list anymore; but there is no denying the impact that he has had, and still continues to have, on the industry as well as his audience. He still shows an uncanny ability to tap into a social consciousness and subvert it in a manner that will make people laugh instead of despair.